Edward Snowden: Don't Fear Trump! Home World Americas Edward Snowden: Don’t Fear Trump! Edward Snowden: Don’t Fear Trump! Edward Snowden doesn’t appear as worried about the election of Donald Trump as half of America is. According to a report covered by IRNA, in an unexpectedly upbeat conversation, the American whistle-blower Edward Snowden told an audience at the Pathé Tuschinski theatre in Amsterdam via a live stream on Thursday that for those concerned about privacy, they should not worry too much about Trump, they are the ones who can make a change. “I try not to look at this as a question of a single election or a single president or even a single government, because we see these threats coming across borders,” Snowden said. “If we want a better world, we can’t hope for an Obama, or fear a Trump. We should build it ourselves,” he said. In other words, citizens should think about their own security and privacy rather than relying on a politician to make changes. He said that Americans need to think about how to “defend the rights of everyone, everywhere,” rather than defending against Trump in high office. 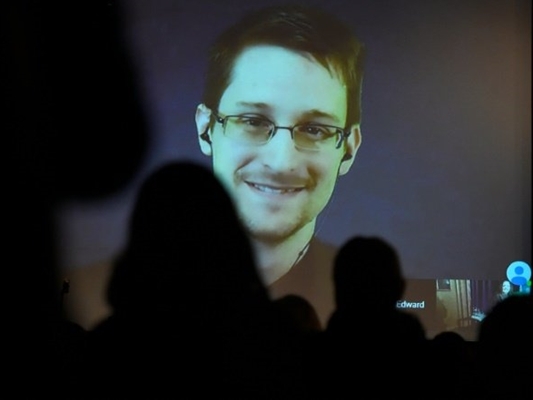 Snowden spoke remotely from Russia, where he has resided since first disclosing the NSA’s extensive surveillance activities in 2013. Snowden, 33, is wanted in the United States to face trial on charges brought under the tough Espionage Act. But he said he was unconcerned about the possibility that Russian President Vladimir Putin could send him back once Trump is sworn in.